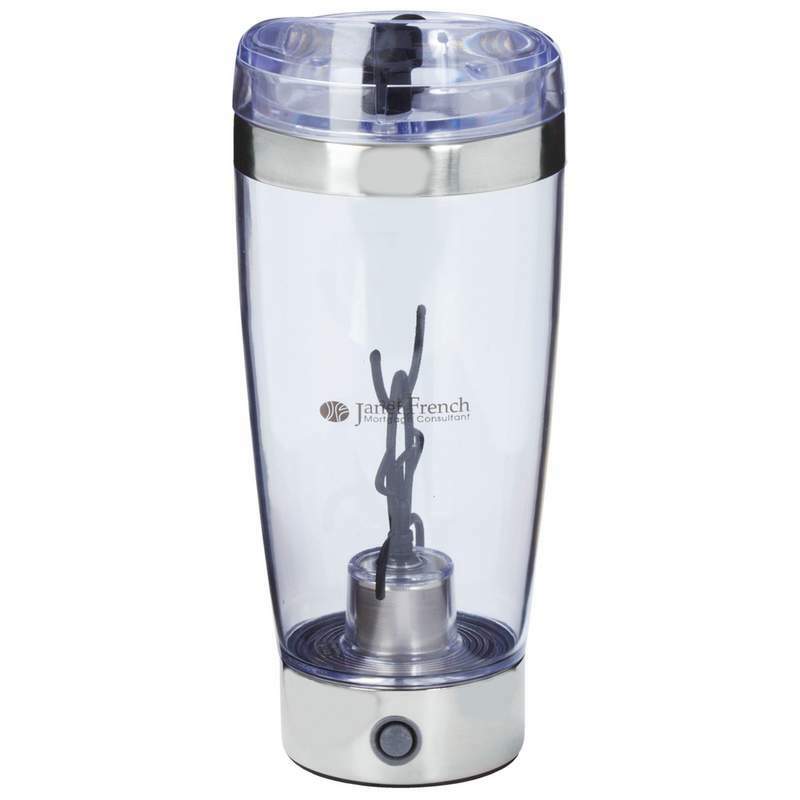 18oz Tornado Portable Mixer Tumbler is a fun way to blend your favorite drinks. Holds a generous 18 ounces. Clear acrylic and stainless steel construction. Requires 2 AAA batteries (not included). Measures 7-7/8” x 3-1/4”. Gift Boxed.